By submitting this form, I agree to receive emails from the Boucher Institute of Naturopathic Medicine, and I understand that I can unsubscribe at any time. Becoming a Naturopathic Doctor might be the right career move for you. You’ve been wondering what your next career move is, and weighing the options. You love health and wellness, are passionate about helping people, and would love to create a freedom-based lifestyle. Is becoming a naturopathic doctor the right career move for you? 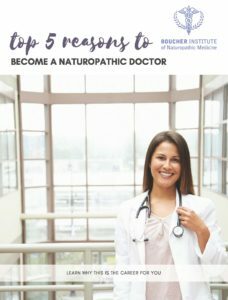 Grab our Top 5 Reasons to Become a Naturopathic Doctor and find out! The Boucher Institute of Naturopathic Medicine is Western Canada's only CNME-accredited naturopathic medical school.